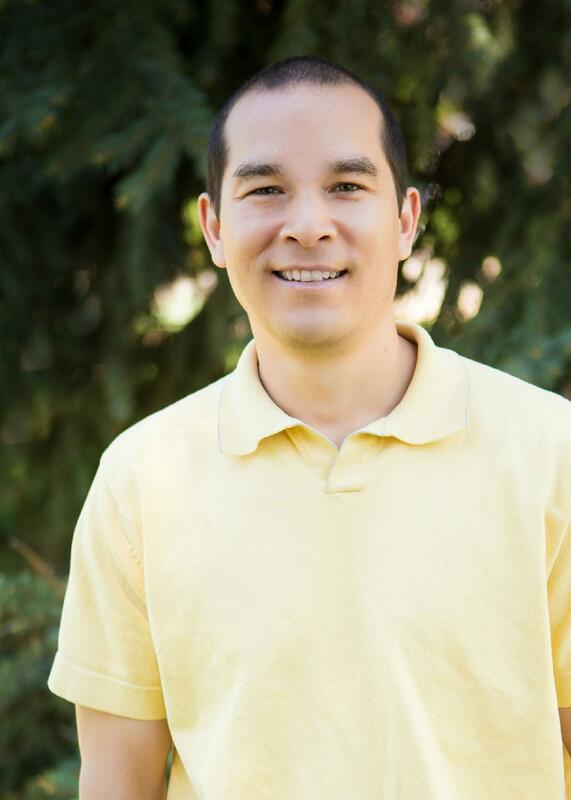 Dr. Mark Aoyagi is the Director of Sport & Performance Psychology and Associate Professor in the Graduate School of Professional Psychology at the University of Denver, where he also founded the Center for Performance Excellence. Along with partners Dr. Artur Poczwardowski, Dr. Steve Portenga, and Dr. Jamie Shapiro, Mark formed Sport & Performance Excellence Consultants, a practice dedicated to providing performance psychology services to people seeking excellence and fulfillment in their performances and life. His areas of expertise include performance excellence, team effectiveness, and achieving meaning, satisfaction and fulfillment through sport, work, and life. Mark is a recognized sport psychology consultant and has worked with several professional and Olympic teams and athletes as well as NCAA athletic departments and developmental athletes. He is a licensed psychologist in the state of Colorado, a Certified Consultant, AASP (Association for Applied Sport Psychology) and is listed in the United States Olympic Committee (USOC) Sport Psychology Registry. Mark is active in several professional organizations including the International Society for Sport Psychology, American Psychological Association (APA) and the Association for Applied Sport Psychology (AASP). He was elected to the Executive Board of AASP as the Research and Practice Division Head (2014-2017), appointed Chair of the Graduate Program Committee (2013-2014), and selected as member of the Distinguished Professional Practice Award Committee (2014), Future of Focus Areas Ad Hoc Committee (2012-2014), Foundation Committee (2012-2014), and Student Development Committee (2007-2010). For APA Division 47 (Society for Sport, Exercise, & Performance Psychology), Mark was elected as Member-at-Large on the Executive Committee (2011-2013), appointed Chair of the Science Committee (2010-2012), and served as member of the Public Interest Committee (2008-2012) and member of the Practice Committee (2008-2014). Mark has several publications and national conference presentations on the topics of sport psychology, team effectiveness, models of sport psychology practice, and ethics among others. He has co-edited two books: Expert Approaches to Sport Psychology (with Artur Poczwardowski) and The Peer Guide to Applied Sport Psychology for Consultants in Training (with Artur Poczwardowski and Jamie Shapiro). Mark has been an invited speaker for several professional teams and college athletic departments in the United States as well as internationally for high performance groups in Canada, Poland, Mexico, Italy, and New Zealand. Mark earned a Ph.D. in Counseling Psychology with an emphasis in Sport Psychology from the University of Missouri in 2006 and was the Sport Psychology Post Doctoral Fellow at the University of Southern California. Prior to that, he completed a B.S. in Exercise and Sport Science and a B.S. in Psychology from the University of Utah in 1999 and a M.S. in Kinesiology, Sport Psychology emphasis from Georgia Southern University in 2001. Mark also completed a Graduate Business Certificate in Management from the University of Denver Daniels College of Business in 2011. He was the recipient of the 2005 Student-Practitioner Award from the Association for the Advancement of Applied Sport Psychology for excellence in applied sport psychology and the inaugural Early Career Professional Award from Division 47 (Exercise and Sport Psychology) of the American Psychological Association in 2013. He was appointed a Fellow of AASP in 2016, a recognition for members who have achieved distinction through significant contributions to academic and professional practice knowledge in sport psychology. Mark played rugby, football, baseball, and wrestling competitively, and now enjoys a variety of recreational sports and outdoor activities. Aoyagi, M. W., Hodge, K., Carlson, J., & Mellalieu, S. (2017, October). Crash course: Sport psychology in collision sports. Panel presented at the annual conference of the Association for Applied Sport Psychology, Orlando, FL. Poczwardowski, A., Ravizza, K., & Aoyagi, M. W. (2017, October). Reflecting on past practices, recent challenges, and problem-solving in gaining entry. Panel presented at the annual conference of the Association for Applied Sport Psychology, Orlando, FL. Wooding, C., Coker-Cranney, A., Aoyagi, M. W., Michel, J., & Morgan, T. (2017, October). Still better together: A case study workshop for students. Workshop presented at the annual conference of the Association for Applied Sport Psychology, Orlando, FL. Aoyagi, M. W., Baltzell, A., Haberl, P., & Pensgaard, A. M. (2016, September). The teaching comes from the practice: Mindfulness applications for performance excellence. Symposium presented at the annual conference of the Association for Applied Sport Psychology, Phoenix, AZ. *Fritze, T., Laird, M., Poczwardowski, A., & Aoyagi, M. W. (2016, September). Revisiting gaining entry with athletic personnel for season-long consulting. Lecture presented at the annual conference of the Association for Applied Sport Psychology, Phoenix, AZ. Maher, C., Mugford, A., Carr, C., Lesyk, J. J., & Aoyagi, M. W. (2016, September). Addressing the mental and emotional needs of professional athletes: Challenges in coordinating programs and services. Panel presented at the annual conference of the Association for Applied Sport Psychology, Phoenix, AZ. Anderson, J., Aoyagi, M. W., Goldman, S., & Morgan, T. (2016, March). Finding hidden gems: Selecting athletic talent. Panel presented at the South by Southwest (SXSW) conference, Austin, TX. *Foss, J., Pendergrass, C., Seng, S., Aoyagi, M. W., & Poczwardowski, A. (2015, October). An exploration of firefighters’ psychological needs and resources. Poster presented at the annual conference of the Association for Applied Sport Psychology, Indianapolis, IN. Aoyagi, M. W. (2015, July). Mental FITness: A theoretical model for performance excellence. Poster presented at the European Congress of Sport Psychology, Bern, Switzerland. Bilder, C., Hanley, S., O’Neil, A., Shapiro, J., Cowart, S., Diehl, R., & Aoyagi, M. W. (2014, October). Comprehensive supervision structure of graduate students: Benefits, limitations, and future directions. Symposium presented at the annual conference of the Association for Applied Sport Psychology, Las Vegas, NV. Aoyagi, M. W., Cohen, A., Appaneal, R., Carr, B., & Carter, L. (2014, October). Coalition for the advancement of graduate education and training in the practice of sport psychology: Supervision standards and practicum progression. Symposium presented at the annual conference of the Association for Applied Sport Psychology, Las Vegas, NV. Cohen, A., Aoyagi, M. W., Bryant, L., Coker-Cranney, A., & Finch, L. (2014, October). Coalition for the advancement of graduate education and training in the practice of sport psychology: Voluntary program recognition for sport psychology practice graduate programs. Symposium presented at the annual conference of the Association for Applied Sport Psychology, Las Vegas, NV. Silva, J., Poczwardowski, A., Carr, B., Castillo, S., Cohen, A., Sachs, M., Appaneal, R., Aoyagi, M. W., Christensen, D., Etzel, E., Evans, J., Herzog, T., Van Raalte, J., Coker-Cranney, A., Fifer, A., Tashman, L., Watson, J. C., Metzler, J., Rhodius, A., Butcher-Poffley, L., Galli, N., & Vosloo, J. (2013, October). Coalition for the advancement of graduate training in the practice of sport psychology: A report and discussion. Symposium presented at the annual conference of the Association for Applied Sport Psychology, New Orleans, LA. Pensgaard, A. M., Hays, K., McCann, S., Haberl, P., & Aoyagi, M. W. (2013, October). Expert Approaches to Sport Psychology II: Demonstrating Theory to Practice with Case Conceptualization. Symposium presented at the annual conference of the Association for Applied Sport Psychology, New Orleans, LA. Poczwardowski, A., & Aoyagi, M. W. (2013, August). Beyond competencies: Performance psychology consultant as a person, performer, and self-regulator. Poster presented at the annual convention of the American Psychological Association, Honolulu, HI. Portenga, S., Aoyagi, M. W., Cohen, A. (2012, October). Leadership development in the sports arena. Panel discussion presented at the International Leadership Association Annual Conference, Denver, CO. Aoyagi, M. W. (2012, October). Focus-Inspiration-Trust: An interdisciplinary approach to performance excellence. In A. Cohen (Chair), Interdisciplinary Perspectives on Applied Sport Psychology: Five Approaches to Performance Excellence. Symposium conducted at the Association for Applied Sport Psychology 27th Annual Convention, Atlanta, GA, USA. Aoyagi, M. W. (2012, August). An overview of performance psychology services provided on USA track and field international trips. Poster presented at the annual convention of the American Psychological Association, Orlando, FL. Portenga, S., Aoyagi, M., Statler, T., Metzler, J., & Harmison, R. (2011, September). Competency in sport and performance psychology: Connecting practice and education. Panel presented at the annual conference of the Association for Applied Sport Psychology, Honolulu, HI. Aoyagi, M. W., Poczwardowski, A., Portenga, S., Shapiro, J., & Haberl, P. (2010, October). How theory informs practice: The case of X conceptualized from four different perspectives. Symposium presented at the annual conference of the Association for Applied Sport Psychology, Providence, RI. Aoyagi, M. W., Dale, J., Frevert, K., Lawrence, N., & Zeplin, S. (2010, August). Supervision of supervision in sport and performance psychology. Symposium presented at the annual convention of the American Psychological Association, San Diego, CA. Aoyagi, M. W., Poczwardowski, A., & Shapiro, J. L. (Eds.). (2017). The peer guide to applied sport psychology for consultants in training. New York, NY: Taylor & Francis. Aoyagi, M. W., & Poczwardowski, A. (Eds.). (2012). Expert approaches to sport psychology: Applied theories of performance excellence. Morgantown, WV: Fitness Information Technology. Aoyagi, M. W. (2013). Teaching theories of performance excellence to sport & performance psychology consultants-in-training. Journal of Sport Psychology in Action, 4, 139-151. Portenga, S. T., Aoyagi, M. W., & Statler, T. (2012). Consulting on the Run: Performance psychology and the preparation of USA track and field athletes for the Olympics. Journal of Sport Psychology in Action, 3, 98-108. Aoyagi, M. W., Portenga, S. T., Poczwardowski, A., Cohen, A. B., & Statler, T. (2012). Reflections and directions: The profession of sport psychology past, present, and future. Professional Psychology: Research and Practice, 43, 32-38. Aoyagi, M. W., & Portenga, S. T. (2010). The role of positive ethics and virtues in the context of sport & performance psychology service delivery. Professional Psychology: Research and Practice, 41, 253-259. Aoyagi, M. W., & Cox, R. H. (2009). The effects of scholarship status on intrinsic motivation. Athletic Insight Journal 1, 63-74. Aoyagi, M. W., Burke, K. L.,Joyner, A. B., Hardy, C. J., & Hamstra, M. S. (2009). The associations of competitive trait anxiety and personal control with burnout in sport. Athletic Insight Journal 1, 1-14. Aoyagi, M. W., Cox, R. H., & McGuire, R. T. (2008). Organizational citizenship behavior in sport: Relationships with leadership, team cohesion, and athlete satisfaction. Journal of Applied Sport Psychology, 20, 25-41. Shapiro, J. L., Aoyagi, M. W., & Poczwardowski, A. (2017). Frequently asked questions. In M. W. Aoyagi, A. Poczwardowski, & J. L. Shapiro (Eds. 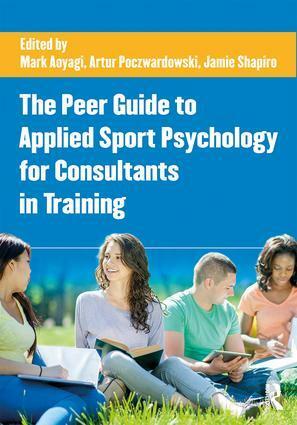 ), The peer guide to applied sport psychology for consultants in training (pp. 163-174). New York, NY: Taylor & Francis. Bartley, J. D., O’Neil, A. M., Portenga, S., & Aoyagi, M. W. (2017). Working with individual clients. In M. W. Aoyagi, A. Poczwardowski, & J. L. Shapiro (Eds. ), The peer guide to applied sport psychology for consultants in training (pp. 125-136). New York, NY: Taylor & Francis. Foss, J. M., Minaker, E., Doerr, C., & Aoyagi, M. W. (2017). Developing a theoretical orientation to performance excellence. In M. W. Aoyagi, A. Poczwardowski, & J. L. Shapiro (Eds. ), The peer guide to applied sport psychology for consultants in training (pp. 1-17). New York, NY: Taylor & Francis. Aoyagi, M. W., Poczwardowski, A., & Shapiro, J. L. (2017). Preface. In M. W. Aoyagi, A. Poczwardowski, & J. L. Shapiro (Eds. ), The peer guide to applied sport psychology for consultants in training (pp. ix-x). New York, NY: Taylor & Francis. Poczwardowski, A., Aoyagi, M. W., Shapiro, J. L., & Van Raalte, J. L. (2014). Developing professional philosophy for sport psychology consulting practice. In A. Papaioannou & D. Hackfort (Eds. ), Routledge companion to sport and exercise psychology: Global perspectives and fundamental concepts (pp. 895-907). London, UK: Routledge. Aoyagi, M. W., & Portenga, S. T. (2014). Five ring fever: Ethical considerations when consulting with Olympic athletes. In E. F. Etzel & J. C. Watson II (Eds. ), Ethical issues in sport, exercise, and performance psychology (pp. 61-73). Morgantown, WV: Fitness Information Technology. Aoyagi, M. W., & Poczwardowski, A. (2011). Models of sport psychology practice and delivery: A review. In S. D. Mellalieu & S. Hanton (Eds. ), Professional practice in sport psychology: A review. London, UK: Routledge. Aoyagi, M. W. (2017, August). Sport psychology in the National Football League. Presented at the Association for Applied Sport Psychology PRO sport summit, Tampa, FL. Aoyagi, M. W. (2017, April). Mindfulness applications within professional sport in the United States. Presented at the Copenhagen Summit on Mindfulness and Acceptance Approaches in Elite Sport, Copenhagen, Denmark. Aoyagi, M. W. (2017, April). The future of sport and performance psychology. Panel presented at the Association for Applied Sport Psychology Southwest Regional Conference, Denver, CO.
Aoyagi, M. W. (2017, January). The point of highest leverage. Presented at the United States Olympic Training Center, Colorado Springs, CO.
Aoyagi, M. W., Hays, K. F., & Van Raalte, J. L. (2016, April). So, you want to be a sport psychology consultant. Webinar presented to APA Division 47, Society for Sport, Exercise, and Performance Psychology. Aoyagi, M. W. (2015, October). Confidence, courage, growth mindset. Presented to USA Men’s Basketball Camp, Colorado Springs, CO.
Aoyagi, M. W. (2015, June). Strategies for maximum performance. Presented to USA Men’s Basketball, Colorado Springs, CO.
Aoyagi, M. W. (2015, June). Strategies for maximum performance. Presented to USA Women’s Basketball, Colorado Springs, CO.
Aoyagi, M. W. (2015, February). Mindfulness and performance. Presented to USA Volleyball High Performance Coaches’ Clinic, Colorado Springs, CO.
Aoyagi, M. W. (2014, November). Leadership and professionalism. Workshop presented to the Denver Broncos Football Club, Denver, CO.
Aoyagi, M. W. (2014, October). Training a wild elephant: Mindfulness and teamwork. Presented to the Denver Nuggets Basketball Club, Denver, CO.
Aoyagi, M. W. (2014, October). Acceptance and Commitment Training in the National Basketball Association. Presented to the United States Olympic Committee and Team Denmark Sport Psychology, Colorado Springs, CO.
Aoyagi, M. W. (2014, October). USA Track & Field: A national governing body sport psychology model. Presented to the United States Olympic Committee and Team Denmark Sport Psychology, Colorado Springs, CO.
Aoyagi, M. W. (2014, March). The trials of Muhammad Ali. Panel discussion sponsored by Rocky Mountain PBS, Denver, CO.
Aoyagi, M. W. (2014, January). Togetherness, belief, trust. Presented to the Denver Nuggets Basketball Club, Denver, CO.
Aoyagi, M. W. (2013, October). Performance excellence. Workshop presented to the Denver Broncos Football Club, Denver, CO.
presented to the Denver Broncos Football Club, Denver, CO.
Aoyagi, M. W. (2012, November). Leadership and workplace conduct. Workshop presented to the Denver Broncos Football Club, Denver, CO.
Aoyagi, M. W. (2011, November). Performance excellence. Workshop presented to the Denver Broncos Football Club, Denver, CO.
Aoyagi, M. W. (2011, November). Leadership and workplace conduct. Workshop presented to the Denver Broncos Football Club, Denver, CO.
Aoyagi, M. W., & Van Raalte, J. (2011, August). Future education in sport psychology for practitioners. 25th Anniversary Invited Address presented to Division 47 of the American Psychological Association, Washington, DC. Aoyagi, M. W., & Portenga, S. (2011, April). Leadership through positive relationships. Keynote address presented to Missouri Athletic Administrators Association, Osage Beach, MO. Aoyagi, M. W., & Portenga, S. (2011, April). Motivation through positive relationships. Workshop presented to Missouri Athletic Administrators Association, Osage Beach, MO. Aoyagi, M., Poczwardowski, A., Portenga, S., & Shapiro, J. (April 16, 2011). Professional panel on current issues in sport and performance psychology. Invited panel presented to 2011 AASP Southwest Regional Student Conference, University of Denver, Denver, CO.
Aoyagi, M., & Portenga, S. (2011, February). Evening of ethics seminar: The ethical issues involved with the care of collegiate and elite athletes. Invited seminar presented to the 7th Annual Big Sky Sport Psychology Retreat, Big Sky, MT. Aoyagi, M. W. (2010, June). The USA track & field sport psychology service delivery model and title, licensure, and certification issues in sport psychology in the United States. Presented to the Polish Olympic Committee, Warsaw, Poland. Aoyagi, M. W. (2010, June). Developing excellence in athletes and performers: The SUCCESS model. Presented to the Warsaw School of Social Psychology, Warsaw, Poland. Aoyagi, M. W. (2010, June). Sport and performance psychology in the United States: History, title, licensure, and best practices. Presented to the Warsaw School of Social Psychology, Warsaw, Poland. Aoyagi, M. W. (2009, December). Developing high performance coaches and athletes. Presented to the New Zealand Rugby Union, Wellington, New Zealand.